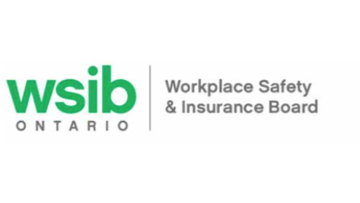 The Workplace Safety and Insurance Board (WSIB) helps people overcome workplace injuries and illnesses and helps business owners make their workplaces safe and healthy. Our people are at the heart of what we do. Bring your enthusiasm and expertise to the WSIB, and we’ll help you achieve your personal and professional goals through meaningful work, development opportunities and a culture of compassion, integrity and teamwork. We are the WSIB. And we’re here to help. The WSIB’s Service Delivery Division is a key partner in the organization’s strategic transformation initiatives with a focus providing better service to the employers and workers of Ontario. You will interact with Workers, Health Care Providers, Employers, WSIB Case Managers and other WSIB staff aimed at optimizing outcomes. This role involves making and communicating health-care decisions, as well as participating in the WSIB structured case management framework, which will guide your work and enable the achievement of high-quality return-to-work and/or recovery outcomes for injured/ill workers. To this end, you will be required to use computer-based programs and the telephone queue frequently throughout the work day. Make health care entitlement decisions and communicate them, verbally and in writing. Attempt to resolve objections to health care decisions made and if unable to resolve the objection, arrange for access and process the objection. Educate and influence workers regarding RTW best practices, health care guidelines, recommended treatment(s) for the type of injury/illness, and the value of RTW in the healing process to support the RTW and recovery and/or quality of life goals for the case. Assess medical documentation for completeness, correctness and timeliness and take appropriate action with providers such as reducing payment for late billing. This may include referral to and/or working collaboratively with Health Services and/or Regulatory Services Division for appropriate action. Act as a clinical resource to internal staff by providing advice, opinions, and guidance about health care related questions and the interpretation of medical findings related to the treatment or recovery of a worker. As a precondition of employment, the WSIB will require a prospective candidate to undergo a criminal records name check prior to or at any time following hire. We appreciate the interest of all candidates. Due to the volumes of applications we receive, we are only able to contact candidates that are selected to move forward in the recruitment process. The WSIB is an equal opportunity employer. The WSIB is an equal opportunity employer and provides accommodation for job applicants in accordance with the Human Rights Code and the Accessibility for Ontarians with Disabilities Act. If you are an individual with a disability and you need accommodation in order to apply for this position, please contact talentacquisitioncentre@wsib.on.ca. If you are invited to participate in the assessment process, please provide your accommodation needs at that time. Please be advised that you may be required to provide medical documentation to the WSIB’s Corporate Health Department so that appropriate accommodation can be provided to you throughout the recruitment process. Employees of the WSIB have important ethical responsibilities, including the obligation to place the public interest above personal interests. Job applicants are therefore required to disclose any circumstance that could result in a real, potential or perceived conflict of interest. These may include: political activity, directorship or other outside employment and certain personal relationships (e.g. with existing WSIB employees, clients and/or stakeholders). Please contact TAC if you have any questions about conflict of interest obligations and/ or how to make a disclosure. Personal information will be collected from your resume, application, cover letter and references under the authority of the Workplace Safety and Insurance Act, 1997 and will be used by the Talent Acquisition Centre and WSIB hiring parties to assess/validate your qualifications and/or determine if you meet the requirements of vacant positions and/or gather information relevant for recruitment purposes. If you have questions or concerns regarding the collection and use of your personal information, contact the WSIB Privacy Office, 200 Front Street West, Toronto, ON, M5V 3J1 or 416-344-5323 or 1-800-387-0750 extension 5323. Be advised that information related to application status will not be provided.